Guy Montag is a book-burning fireman undergoing a crisis of faith. His wife spends all day with her television "family", imploring Montag to work harder so that they can afford a fourth TV wall. Their dull, empty life sharply contrasts with that of his next-door neighbour Clarisse, a young girl thrilled by the ideas in books, and more interested in what she can see in the world around her than in the mindless chatter of the tube. When Clarisse disappears mysteriously, Montag is moved to make some changes, and starts hiding books in his home. Eventually, his wife turns him in, and he must answer the call to burn his secret cache of books. 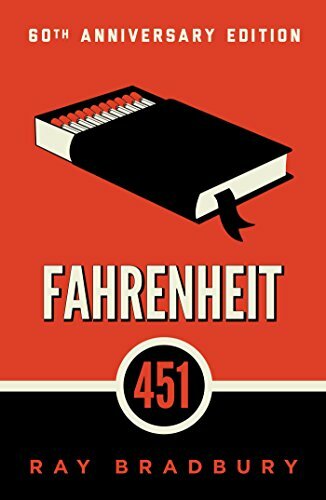 After fleeing to avoid arrest, Montag winds up joining an outlaw band of scholars who keep the contents of books in their heads, waiting for the time society will once again need the wisdom of literature.